Carolina Mat Company Inc. (Carolina Mat) creates temporary roads, helping facilitate uninterrupted industry all up and down the Eastern Seaboard. The company has been in business for 40 years, since Ronald Harrison founded it in 1973. 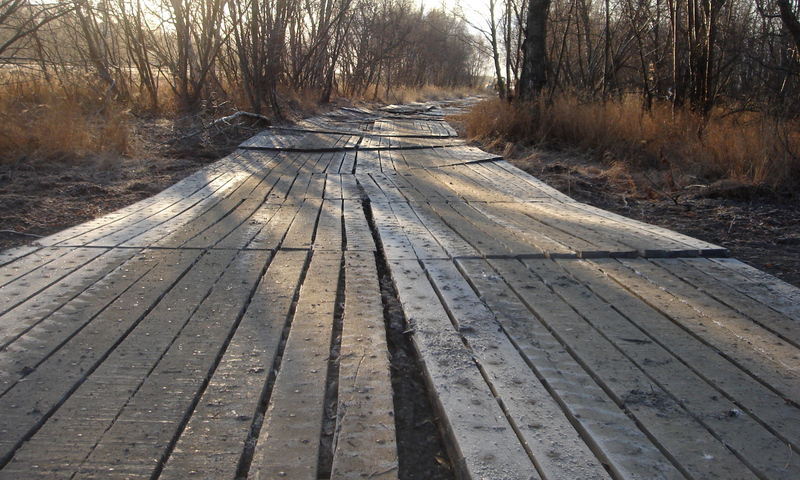 Ronald founded the company after he toiled for 20 years in the woodworking industry, building homes then pallets and boxes until the early ’70s, when he was approached to design a wooden mat that could be utilized by loggers to construct a temporary road into swampy areas. These regions were known to seize a logging truck and render it immobile – a problem demanding a costly and time-consuming fix. 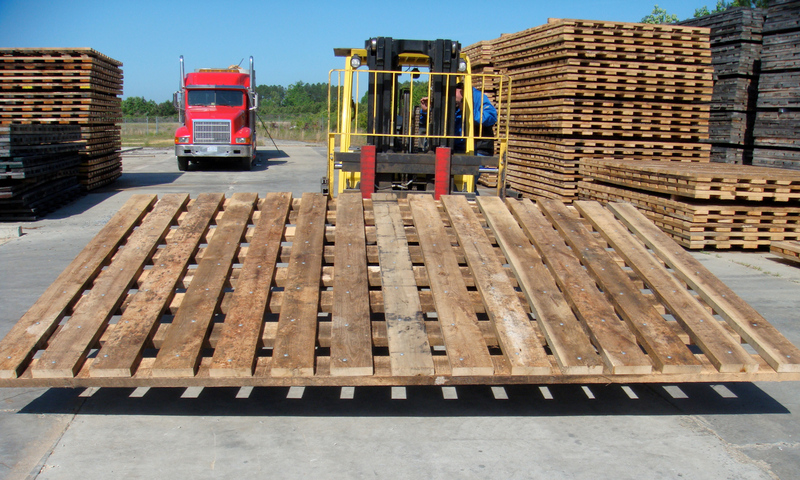 Ronald met the challenge posed by Weyerhaeuser by designing and manufacturing a machine to produce hardwood mats (pallet-like in appearance and structure) that could be laid over dangerously soft, wet, sandy and uneven terrain, allowing loggers to move safely forward in their work. 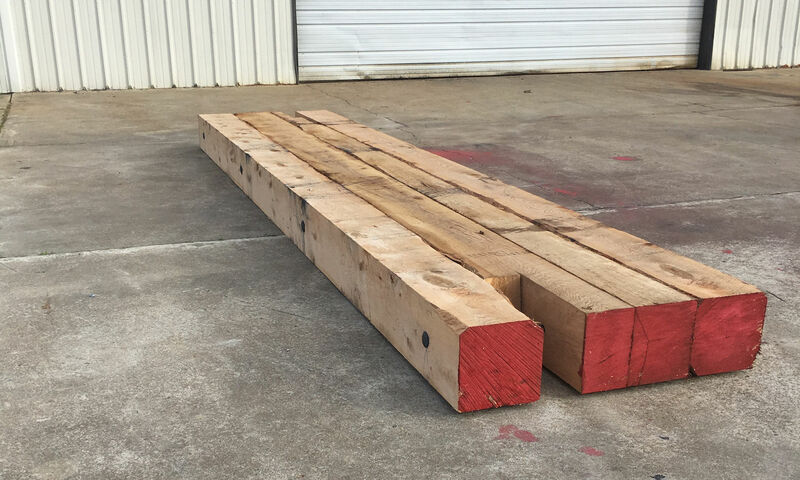 Today, the technology patented by Ronald produces several styles of 100-percent red and white oak mats that have numerous uses in several industries, not just logging. 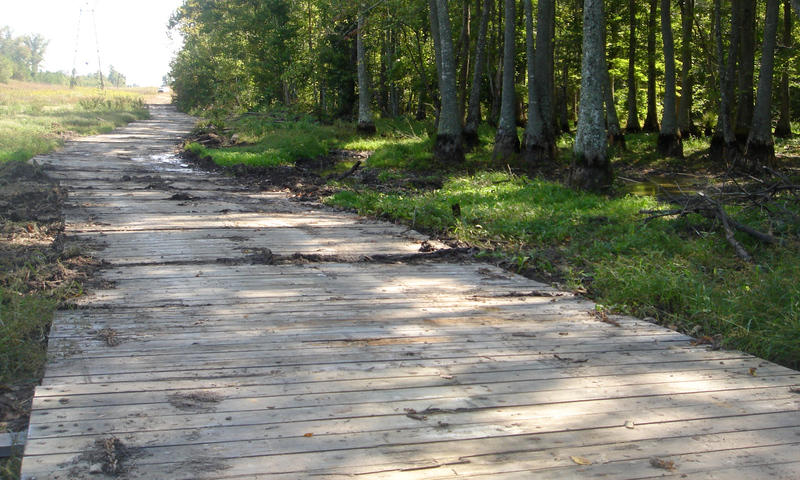 Carolina Mat products are now used in construction, temporary access roads, house moving, pipeline work, helicopter pad creation, septic tank installation/repair, utility line maintenance, oil field services, mining camps, and even boat launching. 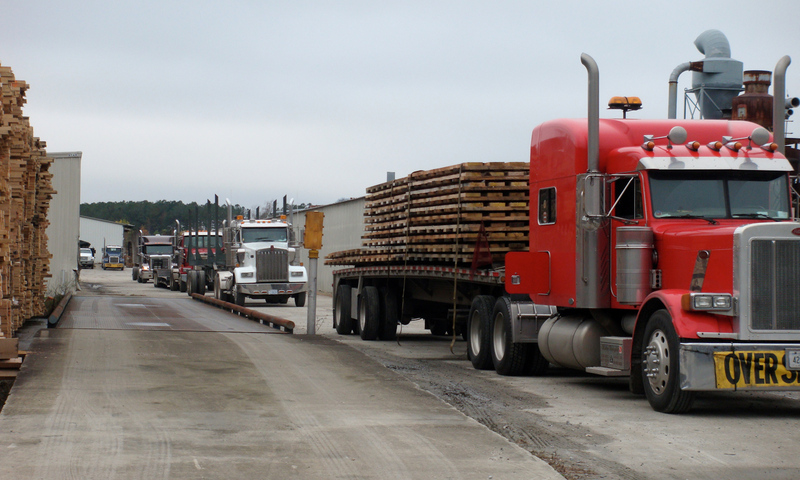 Carolina Mat’s temporary roadways are still produced by a company that remains family owned and customer satisfaction focused. 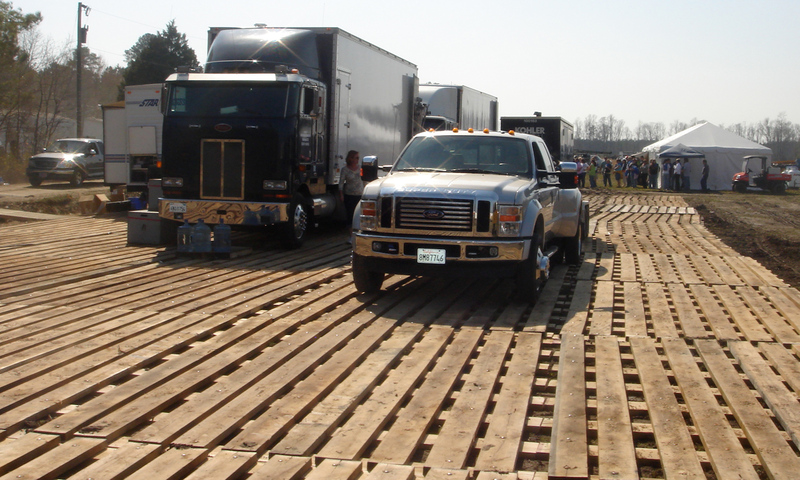 3 ply laminated mats, timber mats, logging mats, and deck mats. All of these mats come in a variety of sizes for custom ordering. Custom specifications available on mats. Cables and chains available at an additional cost. We offer bolted mats made only of 100% oak. Custom specifications available on mats. Cables and chains available at an additional cost. Drop us a line anytime, and our corporate office will respond to you as soon as possible.